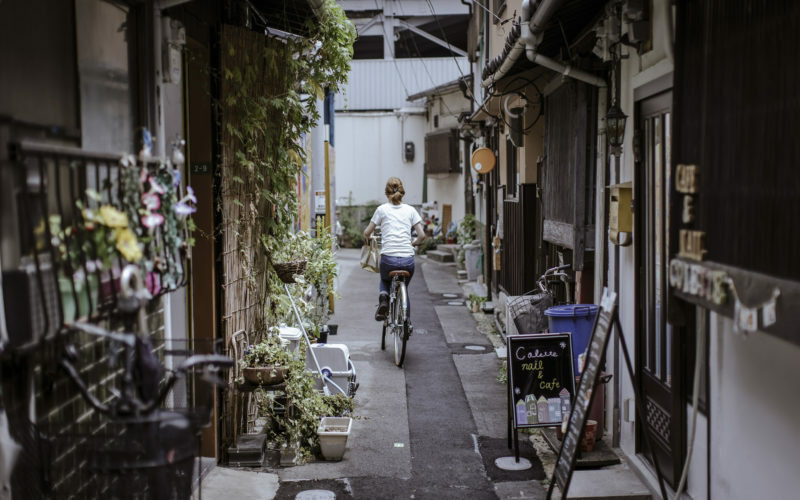 Follow the trail of Osaka's iconic landmarks. The famous Dotonbori neighborhood, now an eccentric mix of tourists and locals, restaurants and hostess bars, was once the heart of the theater district of old Osaka. The Shochiku-za Theatre, specializing in Kabuki and dating back to 1923, is all that remains of the old district, a reminder that this hotbed of nightlife used to be the center of intellectual culture in Osaka. 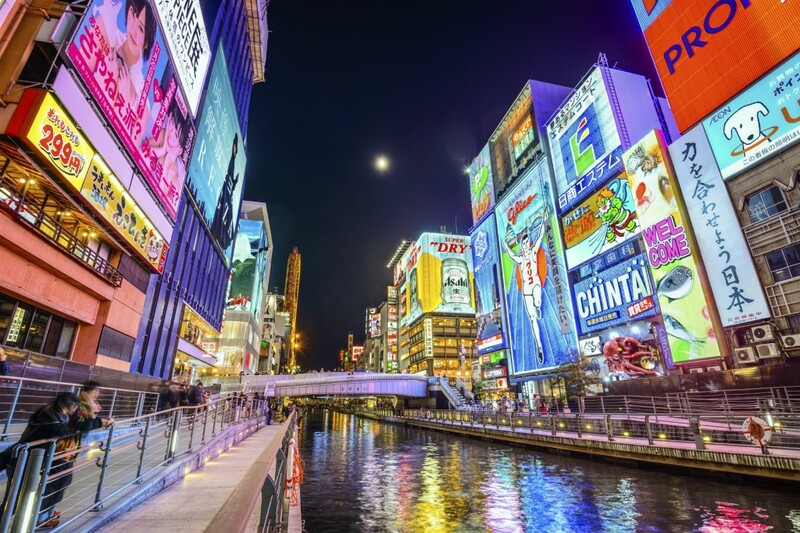 Today you can enjoy Dotonbori in many ways, from many perspectives: by walking in the crowded streets and across the packed pedestrian bridges, or down the ramps and by the edge of the Dotonbori River. 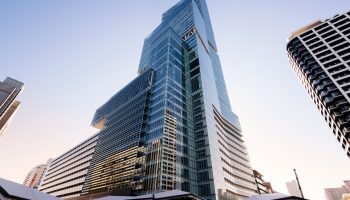 You can take a river cruise and view the towering buildings and glaring lights from below, or you can go to the top of one of the many restaurants and people watch from above. 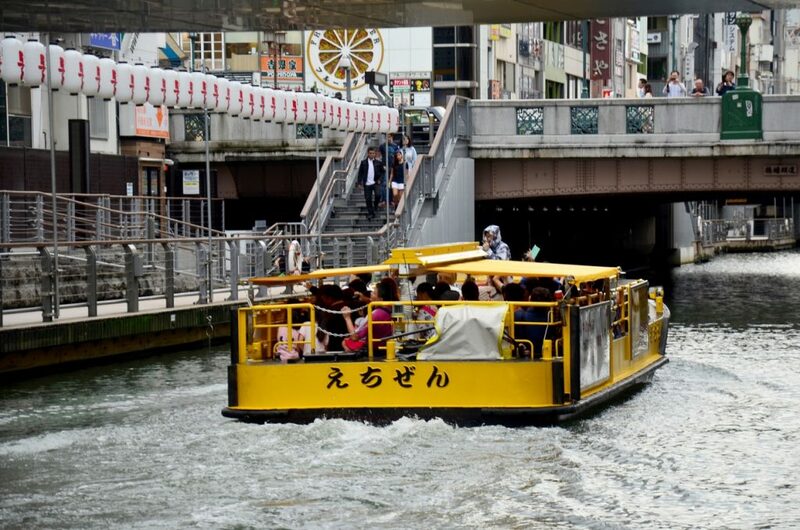 Take a Dotonbori canal tour to see the area from the water. Dotonbori is famous for it towering neon signs advertising the latest products, but its most famous sign is also its oldest. The Glico Man, as it’s known, depicts a man in white gym clothes running down a bright blue track. 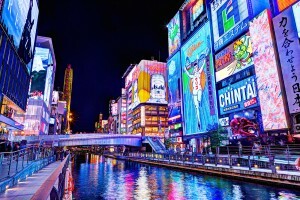 The digital background changes colors in rapid succession and features various landmarks of Osaka. 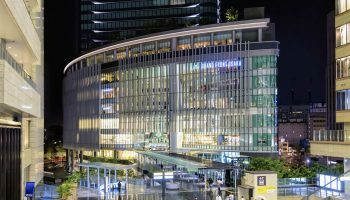 Standing 33 meters tall, it was built in 1935 and has gone through six iterations, the most recent of which was unveiled in 2015 and features LED lights rather than its previous neon lights. Famous for Pocky, the popular chocolate-coated biscuit sticks, the Glico snack company was first known for their caramels, which are still widely enjoyed today. An ad campaign for their caramels gave birth to the running man logo: a selling point for the sweets was that they were 15.4 kcal, the energy supposedly needed to run exactly 300 meters. You can view the sign best from the Ebisu-bashi pedestrian bridge, a central point and popular meet-up spot in Dotonbori. This bridge links the two major shotengai (covered shopping arcades), Shinsaibashi-suji and Ebisubashi-suji. Get a selfie with the Glico man from Ebisu-bashi bridge. Down the street from the Glico Man sign, you can find the famous Kuidaore Taro, a mechanical clown that has become a symbol for Osaka. The statue was created in 1950 by Rokuro Yamada, the owner of the Cuida-ore restaurant, once an iconic Dotonbori establishment that closed in 2008. To appeal to families, Yamada designed a clown mascot modeled on the Bunraku puppets native to the city. When commissioning the electronic puppet, he tried several models for the face until finally settling on his own. The somewhat unnerving puppet remains prominently displayed today, still mechanically drumming his drum. It has been featured in many ad campaigns and promotions for Osaka tourism and sports teams. Kuida-ore literally translates to “to eat oneself bankrupt,” which has become a saying synonymous with the many culinary delights one can find in Dotonbori. Osaka’s culinary history dates back to the Edo era (17th through 19th centuries) when its fresh seafood drew chefs from all over Japan to study cooking and enjoy the fruits of the nearby sea. An old saying goes, “Ki-daore in Kyoto and Kui-daore in Osaka,” referring to the popularity of kimono in Kyoto and of eating one’s face off in Osaka. Dotonbori is the beating heart of Osaka’s nightlife and is famous for its neon lights and entertainment, and really comes alive at night when the neon lights up together with the sounds and smells of the district. 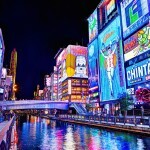 Dotonbori is a 5 minute walk from Namba Station. 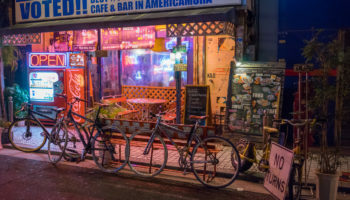 A hipster haven in an Osaka neighborhood unchanged since before WWII. 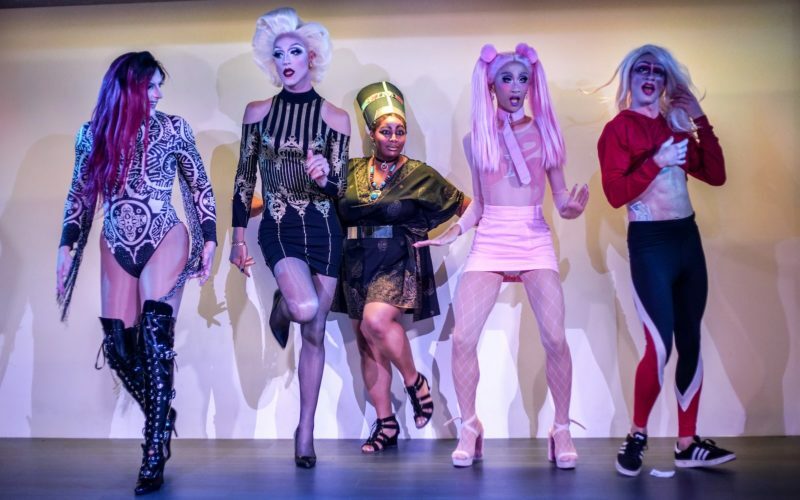 Slay girl, slay at this hilarious monthly drag show in Osaka. 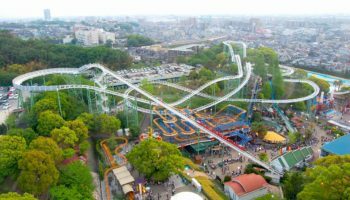 In the heart of Osaka, this thrilling festival is one of the Top 3 in all of Japan.